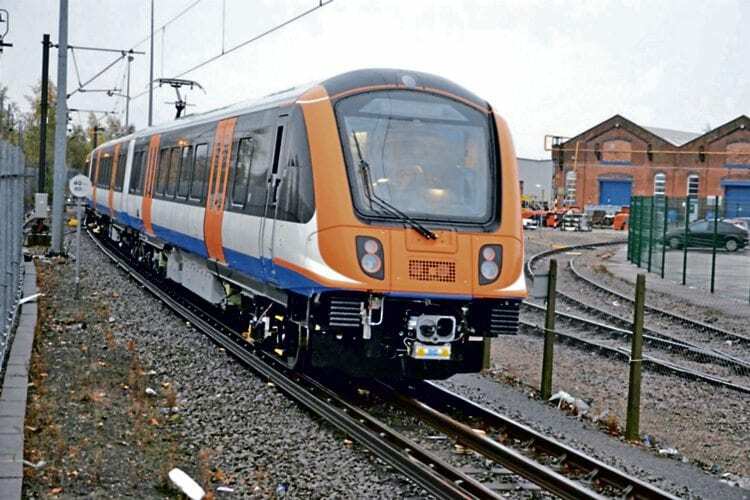 THE first completed Class 710 ‘Aventra’ EMU for several Overground routes, including Gospel Oak to Barking, has emerged from Bombardier’s Litchurch Lane works. No. 710201 has also been tested on the short internal test track (pictured). The four-carriage unit is mechanically and electrically similar to the Class 345 Crossrail train, but has an orange warning panel on the front and orange doors. Bombardier is building 45 Class 710 sets, of which eight will be used on the Gospel Oak to Barking route. The others are for Lee Valley, Romford to Upminster and Watford DC line services.